Man in the middle passive packet capturing with a Throwing Star LAN Tap from Great Scott Gadgets and a Netool NE1 is a true mobile lan capturing power house. With this setup there is zero packets being sent from the netool to the monitor LAN connection making the stealthy way to gather data about a single ethernet connection. “The Throwing Star LAN Tap is a passive Ethernet tap, requiring no power for operation. 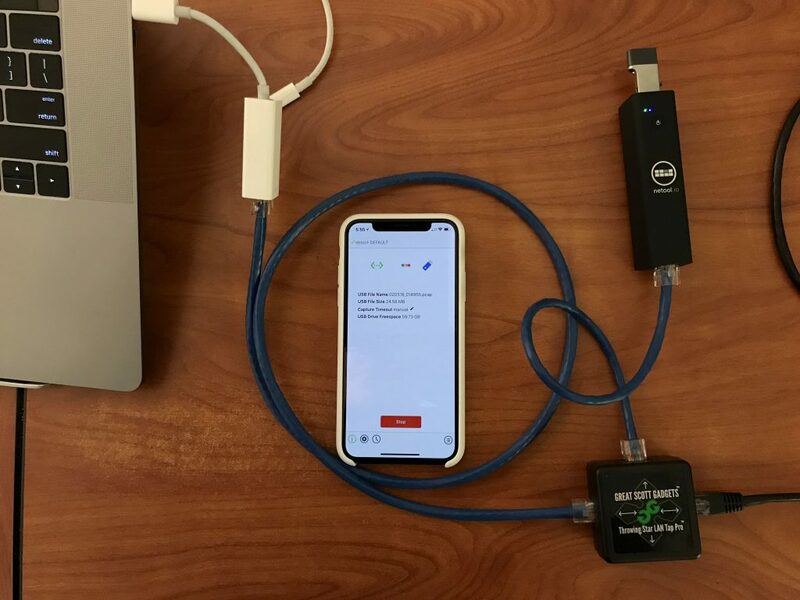 There are active methods of tapping Ethernet connections (e.g., a mirror port on a switch), but none can beat passive taps for portability. To the target network, the Throwing Star LAN Tap looks just like a section of cable, but the wires in the cable extend to the monitoring ports in addition to connecting one target port to the other.